A weekly chore chart is really helpful when you are looking to organize and keep track of your daily chores throughout the week. The Chore Chart templates will help you to divide the tasks to be performed at each day of the week so that you can stay alert about your daily responsibilities. There will be checkboxes on the chart beside each specified chore. The weekly chore chart for adults is a simple chart which is a weekly chart where the work to be done is written and the result is written. Perfect for weekly chores. 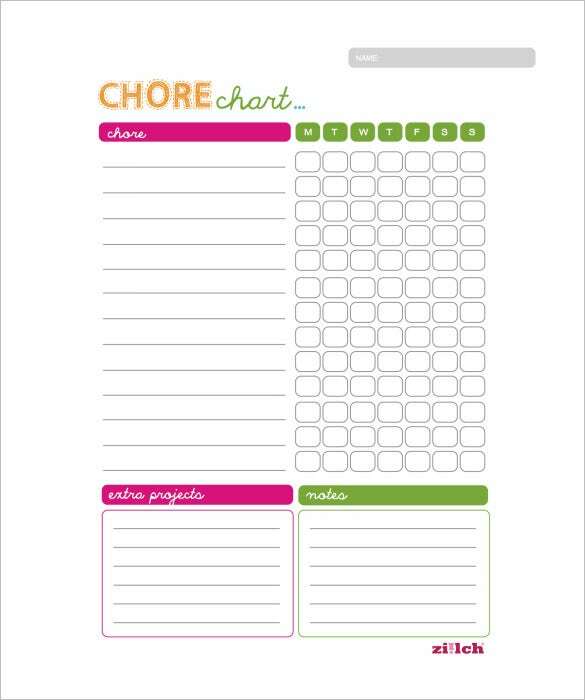 printables.familyeducation.com | The weekly chore chart template is template with predefined chore descriptions like make bed, sweep floor, dust, etc. The chore is to be done daily and after the chore is done, the day is ticked in the chart. frugalliving.about.com | The weekly chore chart is simple chore chart where each box indicates each day of a week as also includes a special box for notes. It provides ample space to write the chores down. 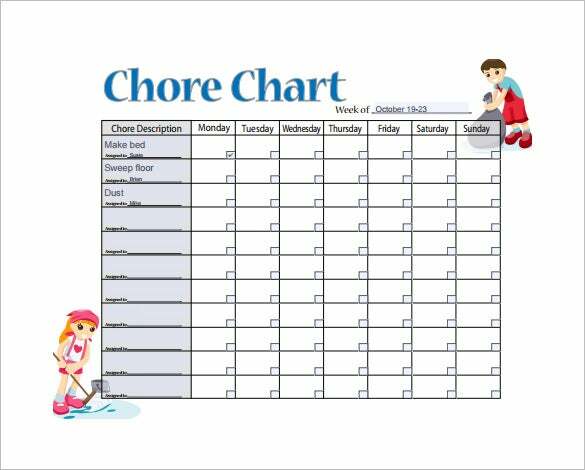 The kids weekly chore chart is a tabular chore chart. It contains two tables for chores of two weeks. The daily chores are to be written and after completion is should be written in the chart. 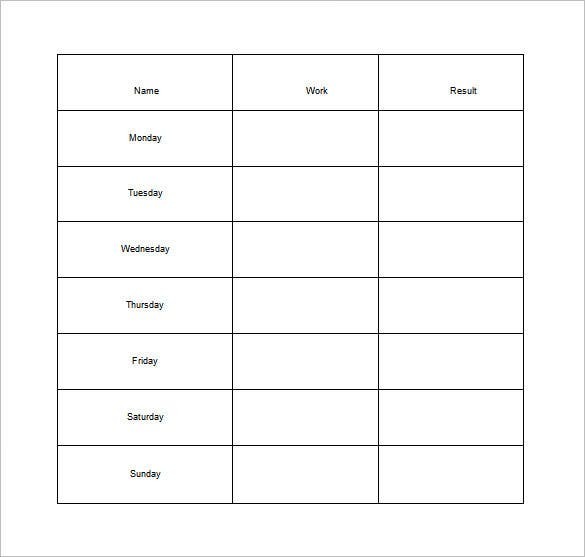 The blank weekly chore chart is a tabular where each column indicates each day of a week. It is used for special chores of a particular day. It also contains a notes box to write down notes. community.ziilch.com | The weekly chore chart for family is a simple attractive chart that can be used by the whole family. It also contains two other tables, the extra project box for special chores and a notes box. 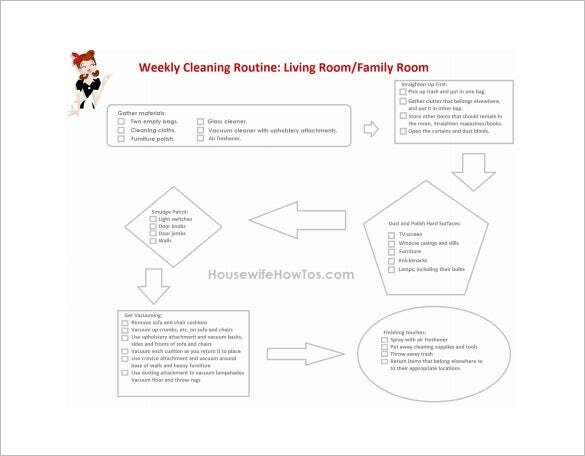 housewifehowtos.com | The sample house cleaning weekly chore chart template features a sample of weekly cleaning routine. This weekly cleaning routine is specially designed for living room/ family room and consists of all the areas or things to be cleaned in it. It also enlists the materials to be gathered before you start cleaning in order to help you. 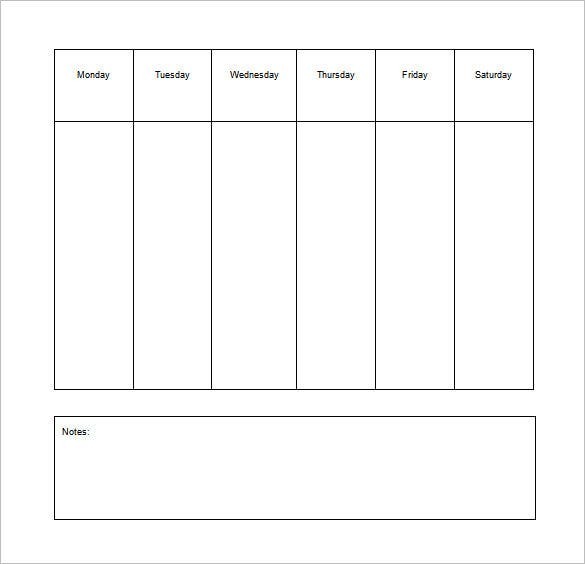 organizinghomelife.com | This template provides you with a chore chart depicting daily as well as weekly chores. The daily chores are divided into morning, before lunch and evening chores whereas weekly chores have sub divisions for all days for your ease. Blank spaces are provided in every column so as to write any additional chore you want to add in chart. moretimemoms.com | This template provides you with a chore chart for kids. Some chores should be delegated to kids to make them feel responsible towards their family and household and this template helps in drafting it. 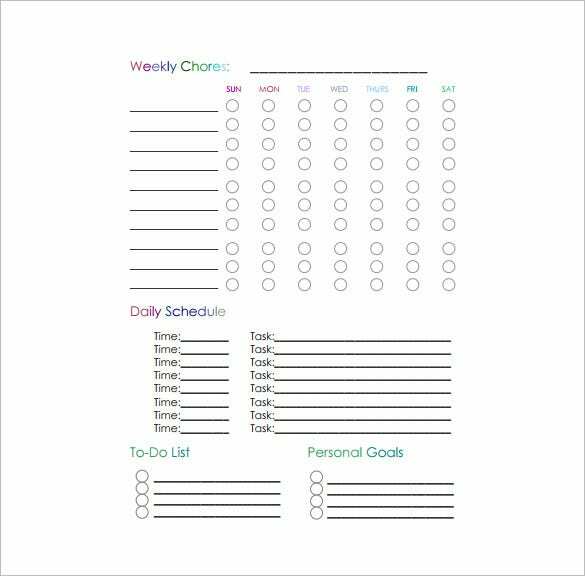 This template is a full package as along while providing you with chart, it also provides you with some relevant information like list of chores kids can do and more. 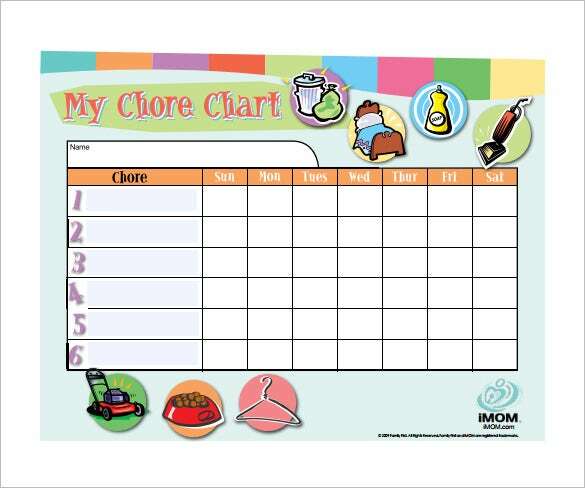 homemadebycarmona.com | The children’s weekly chore chart sample PDF template provides you with a weekly chore chart which is incredibly easy to use. It depicts information like weekly chores, daily schedule, to-do list and personal goals. All information is presented in an organised manner. 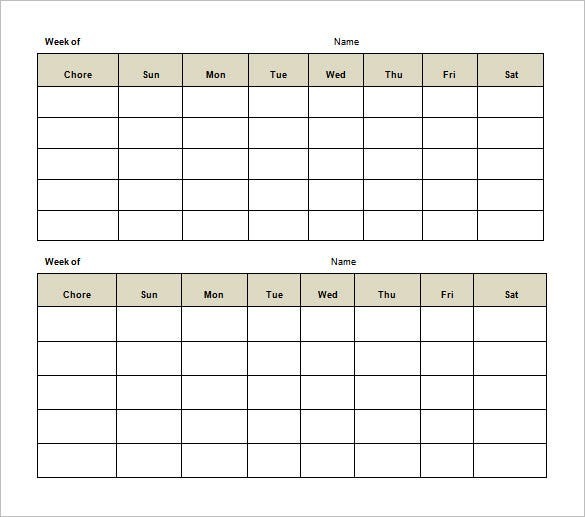 A weekly core chart template format usually includes one major domestic task to be done each day along with minor tasks. Added to the daily tasks, these Chart Templates also enable you to jot down any special event or activity that you have to attend that week. Why is the Weekly Chore Chart Template Needed? 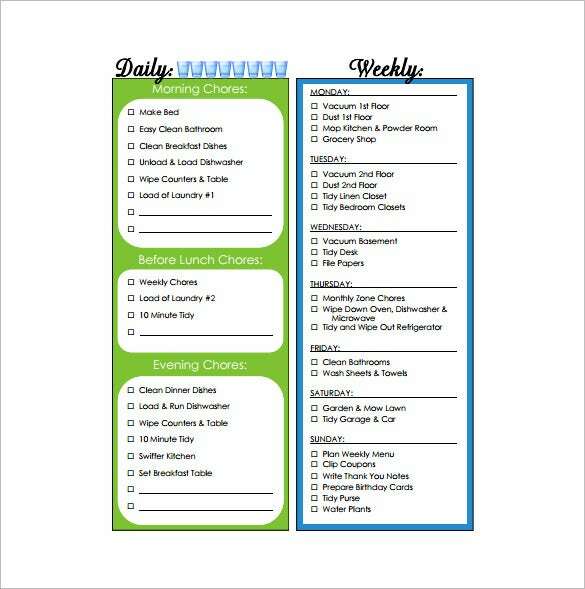 The weekly chore chart template is needed for drafting the chart enlisting all your chores for whole week so that you may keep a track of them and complete them all at the time they are meant to. 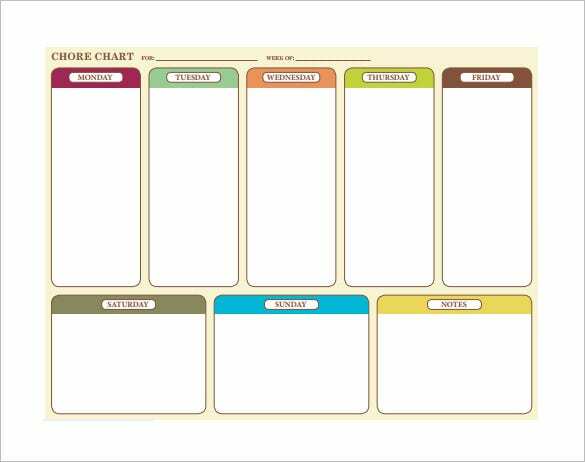 With the help of these templates, it becomes really easy for you to draft these chore charts effectively as you get a well defined format in it already. It is also needed for minimising your efforts in making chore chart by your own as you just need to download the template and print out the format to draft it with its help. When is the Weekly Chore Chart Template Needed? The chore chart template is needed when you want to draft the chore chart. This chart depicts all your works which are to be performed in coming week. This is needed when you often forget about doing your chores or delay doing them as with its help, it becomes easy to remember them as well as to complete them on time. These templates are also needed when you do not have much time for creating the chart on your own as you get ready made tables/ charts in these templates in which you just need to write the required information to complete them. By downloading weekly chore template, you get many benefits like it becomes easy for you to keep a track of things which are meant to be performed by you in forthcoming week. It helps you in providing you time wise schedule of daily chores which further helps you in remembering them as well as in doing them on time. Also, these templates are well formatted and help you in drafting an organised chart which depicts information in clear and understandable manner so that you may use them without any inconvenience. 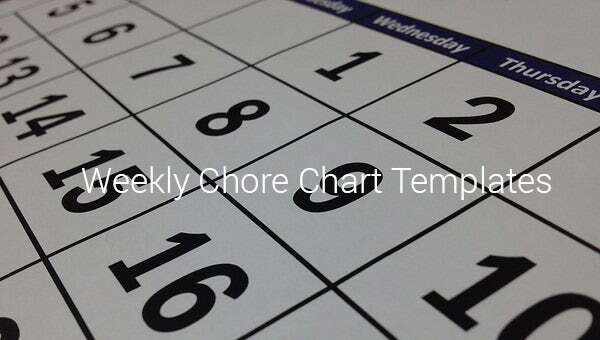 The weekly chore chart template can easily be downloaded and requires only a working connection for it. Various options are also made available for you in it so that you may easily select the one that goes with your requirements and purpose like if you want a chore chart for kids or a chart that includes daily chores list as well etc.